On July 2 at 1:38 a.m., the North Manchester Dispatch Center received a report of a structure fire at 606 West Fourth Street. Upon arrival, the North Manchester Fire Department units found heavy fire involvement coming from the garage and kitchen areas. Firefighters knocked down the flames from the outside of the residence with two handlines before an interior attack was initiated. The fire was under control within 20-25 minutes. Fire units were on the scene until 4:32 a.m. The fire was believed to have started in the garage, and the cause is still under investigation. Assisting at the scene were the Chester Township Fire Department, Pleasant Township Fire Department, North Manchester Police Department, Wabash County Sheriff’s Department and the American Red Cross. The Wabash County Soil & Water Conservation District and the Conservation Cropping Systems Initiative will host a free Manure Management Field Day on July 29 at Brubaker Farms. The half-day program will address application technology and nutrient management as well as the ways in which manure management relates to conservation and soil health. “We as farmers are responsible for stewardship of the resources that are available to us. Every acre we farm contains thousands of pounds of nutrients essential to growing the crops that we are accustomed to. The world demand for more and more food will require us to become more efficient with the application of commercial fertilizers and animal waste products that we heavily depend on in this area,” said Kevin Cordes, a Wabash County Soil & Water Conservation District Supervisor. Wabash City Schools will be holding corporation-wide registration at O.J. Neighbours Elementary on Monday, July 28 from 8 a.m. to 1 p.m. and 4-7 p.m. and Tuesday, July 29 from 11:30 a.m. to 6 p.m.
New students to the corporation will need to call the individual buildings and schedule an appointment with the building principal or guidance counselors to register. There will be an open house for kindergarten students on Thursday, Aug. 7 at 6 p.m. If you have not received a letter from O.J. Neighbours, please contact O.J. Neighbours office at 260-563-2345. 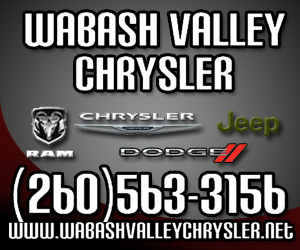 Other school numbers include Wabash High School at 260-563-4131 and Wabash Middle School at 260-563-4137. Bus route transportation forms must be filled out at the time of registration if your child will ride the bus. Parents will be notified by letter regarding time/stop location prior to the first day of school. Any questions about bus routes should be directed to the Wabash City Schools Administration Office at 260-563-2151 ext. 3104 between 7:30 a.m. and 4 p.m., Monday through Friday. The Wabash County 4-H Fair is an event that many people in the county look forward to every year, and this year there are some special events added to the schedule. Each of the main events listed here begin at 7 p.m.
On Monday, July 7, the fair will end its opening night with a mud bogging event. mud bogging is a race through a mud pit whose victor is determined by the furthest distance travelled through the pit. Should more than one competitor cross the pit, the winner is determined by the fastest time to cross the finish line. For the 4-H fair, there will be multiple classes in which riders may compete and these classes are separated by weight of the vehicles. The classes will be divided into heats and the winner of each heat will move into the final round of that class. The victor of the final round will be crowned as winner of the class. Tuesday, July 8, will feature a Tractor Pull, in which competitors will pull sledges across the arena. These tractor pull events will also be divided into classes and each tractor will pull the sledge as far as it can. The driver that pulls the sledge the furthest wins that class. On Wednesday, July 9, another new event will come to Wabash: the autocross. This autocross will include all vehicles such as pickup trucks, vans, and derby cars. There is a mini-size class and a full-size class for the vehicles involved in this event. The Fair Association Council and the 4-H Fair Board will prepare an obstacle course with rolling hills through which the competitors will drive. There is a heat lap for each of the classes, and the top three from each heat lap go to the final for a 20-lap race. Wild Hog Mud Wrestling will occur on Thursday, July 10, which is another new addition to the fair this year. Participants can sign up for one of 12 classes that are divided by age and gender. They are ages 8-11, 12-15, 16-18, and 19 and older. In each age class there are divisions for team members to be all male, all female, or mixed. The entry cost is $40 per team and registration is open until Wednesday, July 9. Admission to the event is $5, and kids five years and younger get in free. Competitors will have to attempt to catch and place the hog on a barrel with bare hands in one minute or less. The winning team will be determined by the time that they took to place hog onto the barrel. Mary Hollingshead, the organizer of the new events, took pride in the Hog Wrestling event as she thought it would be a great addition to the fair. The Department of Natural Resources (DNR) recently issued a Blue-Green Algae Advisory for Mississinewa Lake after samplings showed a level of blue-green algae high enough to warrant an alert. With the advisory, swimming and boating is still permitted. When an advisory is issued, pet owners should refrain from allowing their pets into the water where algae are present. Pets are more vulnerable to getting sick after swimming in lake waters because they tend to lick their fur clean, allowing the bacteria to enter their bodies. Brown works together with Cyndi Wagner from the Indiana Department of Environmental Management (IDEM), who supervises the testing for Mississinewa Lake and other Indiana lakes. Brown confirmed samplings would continue weekly until the blue-green algae levels drop. Mississinewa was scheduled for further testing on June 30. Results from the samplings should be documented by the next day. Currently, Mississinewa is the only lake with an alert in the state. The IDEM and DNR continue to work together to keep everyone informed. If high levels of blue-green algae are found during IDEM testing on any Indiana lake, a notice is posted at algae.IN.gov and alert notices are placed on those beaches until cell counts drop to a safe level. State parks and reservoir websites also include ‘property advisories’ to keep the public informed before heading out onto the waters. 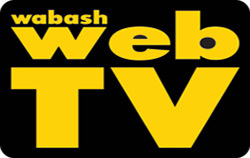 The City of Wabash along with Living Essentials will once again sponsor the July 4th fireworks display. The event will take place Friday, July 4 at approximately 10 p.m. The rain date is July 5. The public is invited to view the display at the Morrett Sports Complex. NuStart by Dr. Jamie Lindsay announces that they have added three new lifestyle coaches to their staff. The new coaches are Christa Schuler, Angi Wolgemuth and Erica Cordes. Christa serves as Dr. Lindsay's assistant and as a wellness coach. She enjoyed physical activity in various sports and dance since childhood. She went on to play varsity volleyball at Manchester University where she was awarded First Team All-Conference. Christa earned a Master of Science in Athletic Training degree at Ohio University in 2012 and a Bachelor of Science in Exercise Science and Athletic Training at Manchester University in 2011. She also maintains the following certifications: Board Certified Athletic Trainer, IW-Wellness Coach, and American Red Cross First Aid/CPR/AED. In 2012, she joined the NuStart team. As a wellness coach Christa is committed to developing and implementing effective lifestyle strategies with her patients. She takes pride in balancing candor with care to help her patients move towards better health. Rustic Charm, a local store that sells everything from candles to t-shirts, now shares its roof with the new auto detailing service, Pro Auto Detail. Chris and Sarah Province opened Rustic Charm in February of this year and intended to open the detailing service from the beginning. The opening of the couple’s businesses follows their move to Wabash from Arkansas in October of last year. While living in Arkansas, Chris was an emergency medical technician, and Sarah was employed by a surgical group. The stores are located at 235 Southwood Drive, the former location of Wabash Two-Way Radio. The fact that the store is located on the same property as a house was instrumental in the couple’s decision making process when it came to where they should move. Chris said, “we wanted to work close to home” and be near their three children, Caleb, Amber, and Ashley. When asked what sets Pro Auto Detail apart, Chris responded that his “eye for detail” gives the store an edge that can’t be found anywhere else. His experience in the business comes from the upkeep of a show truck that he used to take to shows in Arkansas and the surrounding states. The truck won several awards and was featured in a couple magazines.